This year the Azerbaijani entry has been internally chosen by the broadcaster Ictimai iTV. It’s the second time that Azerbaijan is doing it this way. The Caucasian country is one of the most successful new countries in the recent ESC history. They always qualify for the final and in the first six year they always ended up in the top 10, including one victory. This year the charismatic singer Diana Hajiyeva has been chosen to represent Azerbaijan in Kiev. The unusual song title “Skeletons” is also something extraordinary. Diana Hacıyeva was born in Baku in 1989. After studying the piano she got involved in the underground music scene. Beside of that she became a choir conductor at the conservatory of music in Baku. She has been singing in a progressive trance trio Looper & Mancus and as a lead singer in the band Dijah, where performed on several festivals. Her biggest success Diana could achieve with “I break again” in 2015 and “Gecələr keçir” in 2016. Diana has become a mother and is still in love with music. She does not describe herself as typical Eurovision singer. She is different and would like to show her otherness to a worldwide audience. As expected the Azerbaijani entry “Skeletons” is also by an unusual nature. With the support of the songwriters Isa Melikov and Sandra Bjurman, who wrote the winning entry “Running Scared” for Ell & Nikki in 2011, this entry could do well in Kiev. The melody is striking and the lyrics are pathetic. The look of Diana is very special, too, it is to be expected that the stage performance will be the same. An exciting entry with potential. Since Azerbaijan joined the Eurovision Song Contest in 2008, a truly outstanding story of success began. In the short history Azerbaijan has always made it into the Grand Final, and there were even six Top10 places! Statistically there is a chance of 67% for Azerbaijan to have a place in the Top10. And the chances for reaching the final is at 100%, this is due to the fact that Azerbaijan always made it into the Grand Final since the debut. The Eurovision Song Contest has become very important in Azerbaijan and enjoys a huge interest in the entire country. For the Azerbaijani music industry the ESC is also a good platform to show their music talents internationally. The debut entry “Day After Day” by Elnur & Samir made a respectable 8th place in Belgrade, even if it was a very extraordinary song with a lot of drama and high notes on stage. Until 2014 there were only Top10 places. Of course there were a lot of votes by the ex-Soviet countries. But beside of that the songs from Azerbaijan have shown a lot of modernity and the stage performances were always very special on a very high artistic level. This is also due to the fact that Azerbaijan often invites international composers e.g. Stephan Örn, Sandra Bjuman, etc., which made the songs very international. 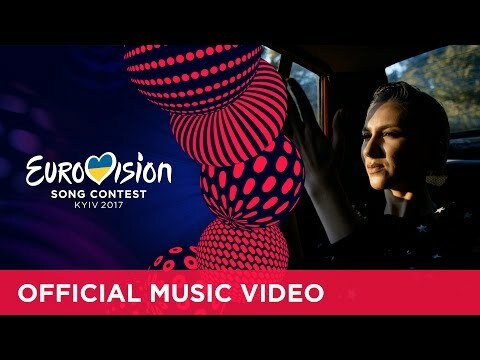 In 2011, Azerbaijan could even win with “Running Scared” by Ell & Nikki. The ESC from Baku in 2012 was one of the most important events in Azerbaijan with the support of the highest government circles. This was the most south eastern ESC ever. The impressive Crystal Hall and the greatly illuminated city of Baku have surprised the visitors and watchers of the ESC, which will remain in good memories.